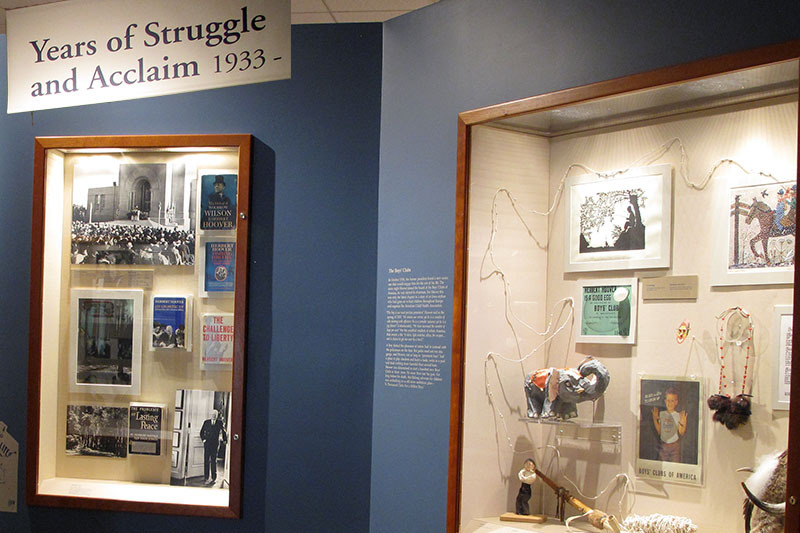 A temporary exhibit featuring rarely displayed, unique, personal items from our collections - and the stories behind the artifacts. 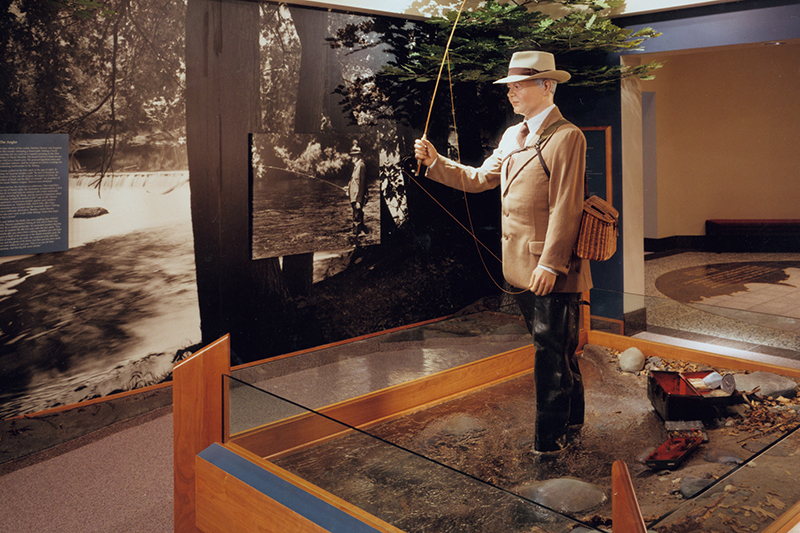 Visitors to the Herbert Hoover Presidential Library and Museum begin their tour of the permanent galleries in a rotunda area where a 16 foot red granite map of the world contains 57 brass sheaves of wheat – one in every country where Herbert Hoover fed people. 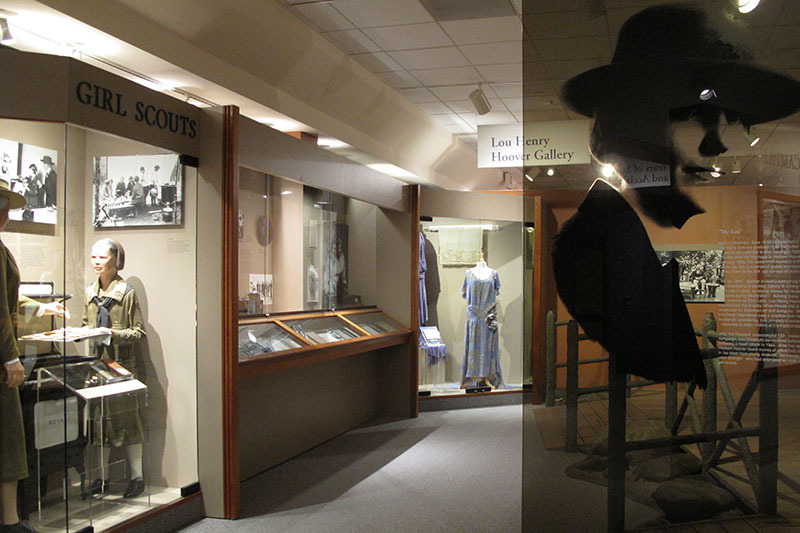 Eight foot glass etched portraits mounted on the rotunda walls depict “the Great Humanitarian” from West Branch at the start and near the end of his fifty years of public service. 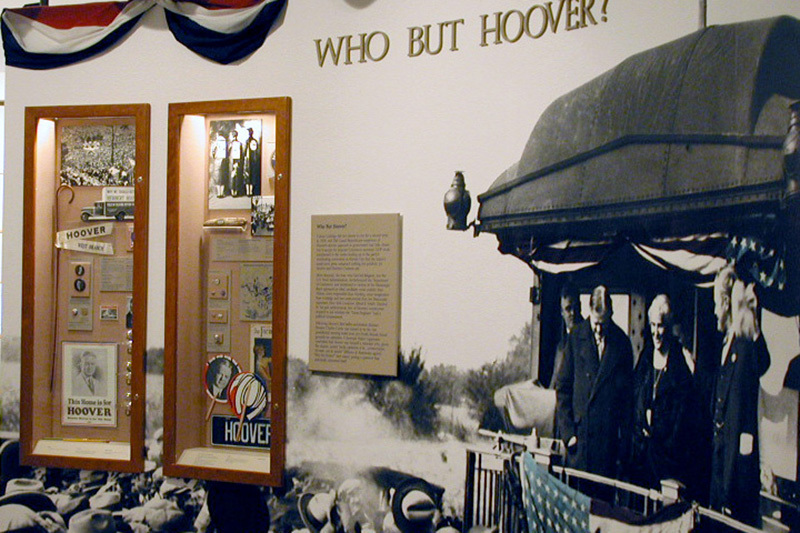 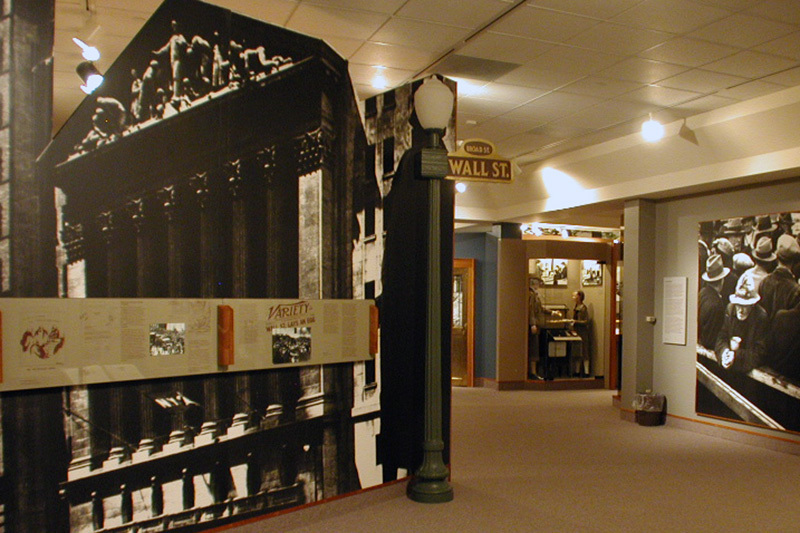 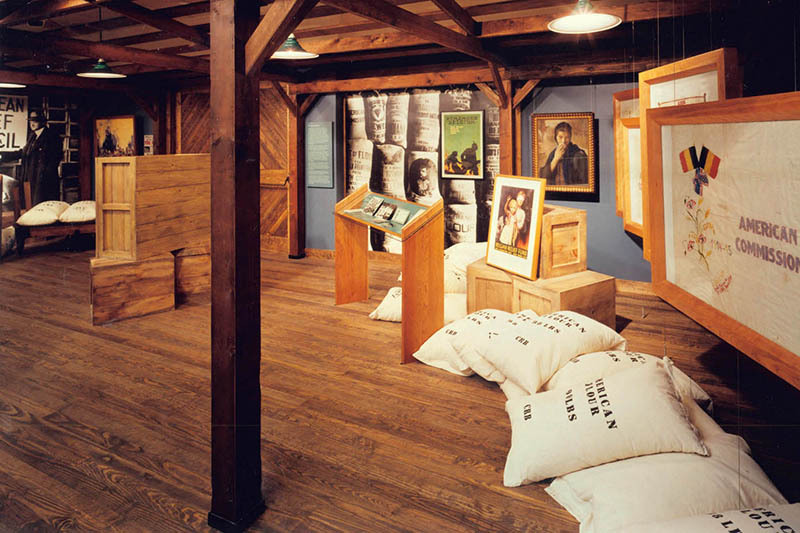 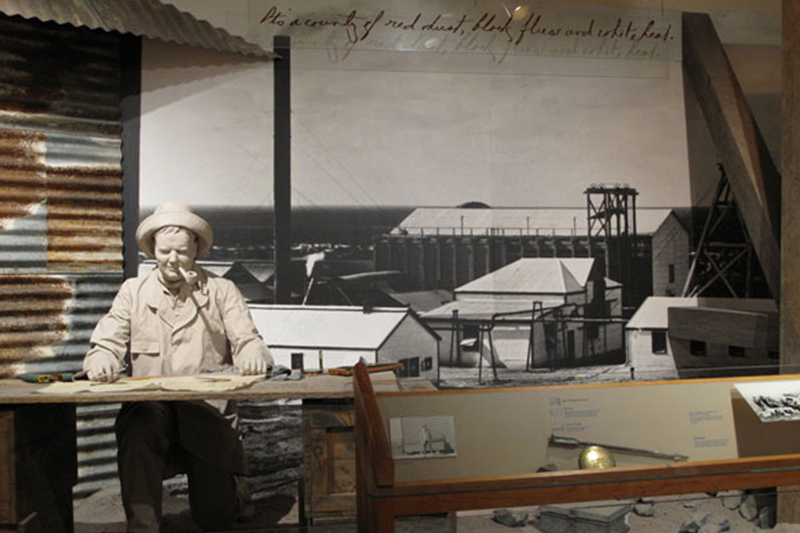 The exhibits in the Museum galleries tell the life and times of Hoover from his birth, to his life as an engineer, Secretary of Commerce, President of the United States, and his post-presidential work. 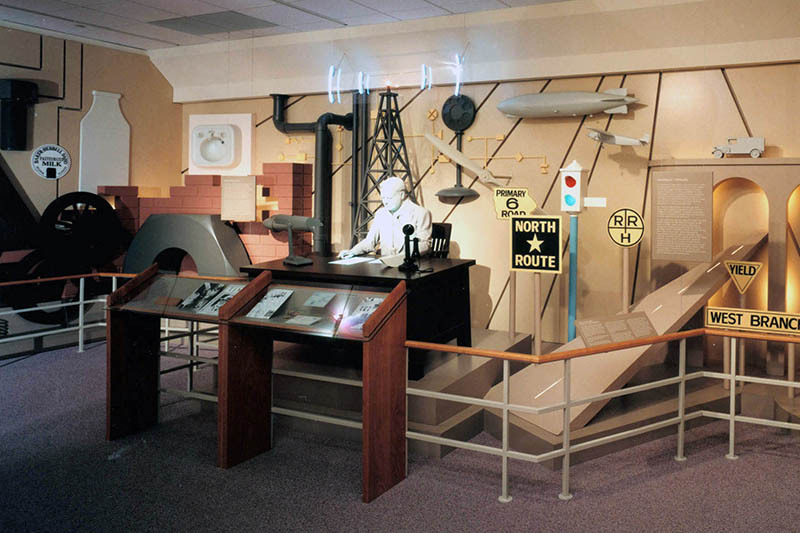 Select the photos below to further explore the exhibits.